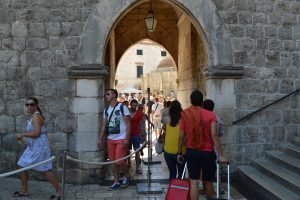 ‘Dubrovnik is one of the world’s most magnificent walled cities in the world, and the highlight of any Croatian holiday with festivals, beaches, galleries and islands,’ wrote website Wow Travel. According to them, it is the Mediterranean’s most unmissable sight at any time of year, so if you visit Dubrovnik this autumn or winter, here is the list of top 9 things to do in our city. 1. Banje, the most famous Dubrovnik beach seems like providence. This divine pebble and sandy beach is pretty crowded but has nice views of the mountains, the Old Town walls and the beautiful unsettled island of Lokrum. 2. The first thing you’ll see as you approach Dubrovnik from the sky or the sea is the city walls. Walking the city walls affords the best views of the Old Port, the sparkling Adriatic and the tide of terracotta roof tiles that sweeps across the Old Town. The walls completely circle the town, traversing for approximately 2000 metres. 3. 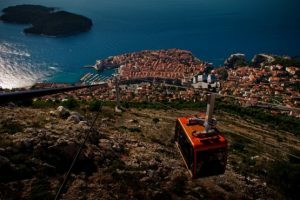 A slick modern cable car zips you up mighty Mount Srdj. Srdj is a mountain that is located just behind the Stone Walls. It is 412 meters to the top and the views are spectacular. You can scope out all of the walled city, Lokrum Island, and the luscious Adriatic Sea. In the far distance, you can also see the peaks of the mountains in Bosnia and Montenegro. 4. Even if you’re visiting Dubrovnik for just a few days, you should set aside some time to visit one of the many islands dotting the coast. Lokrum is an island in front of Dubrovnik and because it takes only 15 minutes by ferry to get there from the Old Town it is a popular destination for both tourists and locals. People call it a treasure island because of its rich pine-wood, subtropical vegetation, natural swimming places and exotic historical heritage. 5. 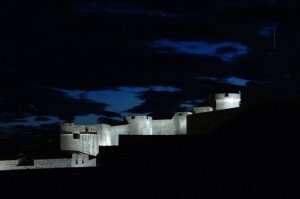 Dubrovnik Old Town is known as one of the world’s finest and most perfectly preserved medieval cities in the world. For centuries, Dubrovnik rivalled Venice as a trading port, with its huge sturdy stone walls, built between the 11th and 17th centuries, affording protection to this former city-state. Today, these walls still enclose Dubrovnik’s historic centre and it is possible to walk along them to enjoy the best views of the ‘Pearl of the Adriatic’ and the surrounding lush green islands. Dubrovnik’s Baroque churches, monasteries and palaces; its Renaissance fountains and facades, are all intertwined with gleaming wide marble-paved squares, steep cobbled streets and houses, all of which have also remained unchanged for centuries. 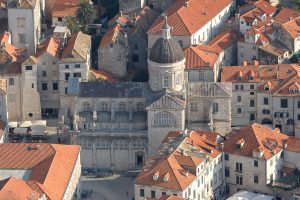 Take a wander along the old town’s main thoroughfare and the most famous street in Dubrovnik called Stradun or Placa street. Stradun is the widest street in the old town. 6. Rector’s Palace is one of the most significant monuments of profane architecture on the Croatian coast, It used to serve as the seat of the Rector of the Republic of Ragusa between the 14th century and 1808. It was also the seat of the Minor Council and the state administration. Furthermore, it housed an armoury, the powder magazine, the watch house and a prison. 7. 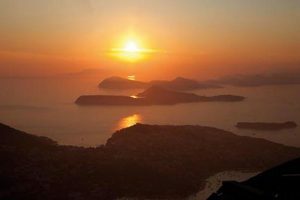 Watch the sunset in one of the most beautiful bars in Dubrovnik which is hanged on the cliffs right above the sea, with an amazing incomparable panorama of the open Adriatic. 8. Dubrovnik’s Cathedral is a beautiful baroque cathedral built in 1713. 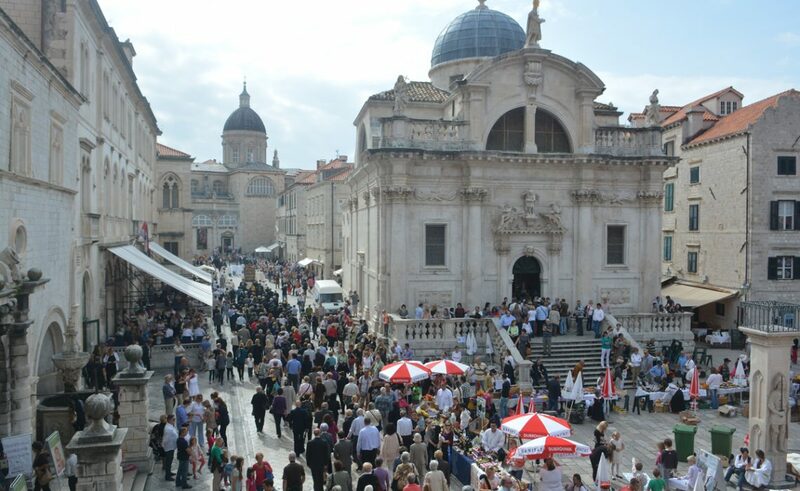 It is the seat of Dubrovnik’s catholic bishops and archbishops and nowadays a UNESCO World Heritage Site. In the beautiful architectural envelope, it holds numerous works of arts and famous relics. Beneath the Cathedral, there is archaeological remains of early medieval and Romanesque cathedral showing millennial continuity in being a focal point of spiritual life in Dubrovnik. 9. Elaphiti are a group of islands located west of Dubrovnik. Out of 14 islands, only three are inhabited: Lopud, Kolocep and Sipan. It’s like a paradise with picturesque towns of white stone, surrounded with luscious green pine trees and the foam of the pristine Adriatic Sea. It is truly worth to experience and to discover this magical corner of the Southern Adriatic. 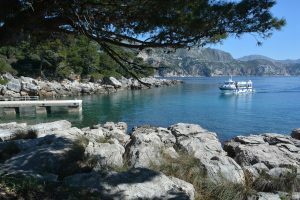 The Elaphite Islands can be reached from Dubrovnik by a daily ferry service by Jadrolinija.